I think by now we have established I have a thing for turmeric. I did mention it was going to appear in a lot of my savoury recipes, and this one is no exception! As I type I wonder how on earth I will get the yellow stains off my hands before heading out to work tonight…. and now my laptop keyboard…. As much as I know it can stain absolutely everything, I can’t seem to stop myself from touching it, whether it is intentional or not. I love to touch and mix all my food with my hands whenever I cook and tend to forget turmeric is in the mix. As a result, most of my clothes now have tiny little turmeric stains all over them because I can never get it off my hands so I have come to accept that is just going to be how it is for me! I mentioned some of the medicinal benefits of turmeric in another post, which will give you an idea of why I love it. 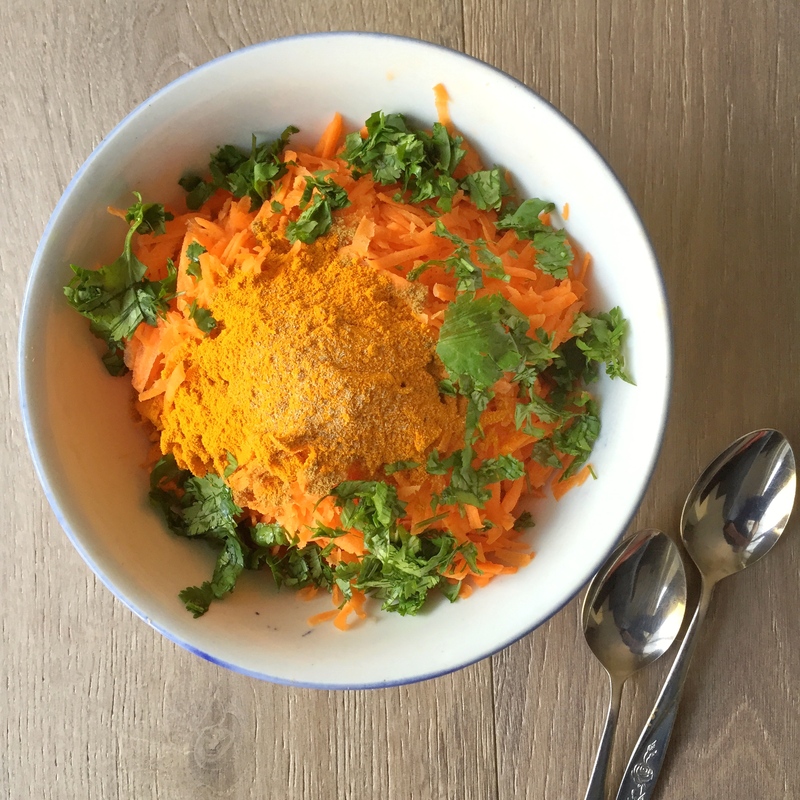 However, for turmeric to exert its therapeutic effects from dietary sources you need to have LOTS of it, which is why my meals are always golden. It’s also worth mentioning if you do have a highly inflammatory condition and are trying to manage your inflammation levels down, dietary intake of curcumin through turmeric is unlikely to be enough and you may need to consider a supplement form. Something to be discussed with your care team, but including plenty of turmeric combined with pepper and fat for better absorption as part of your diet will certainly do you no harm! Serves 2 – 3 depending on how hungry you are! Makes 6 waffles. 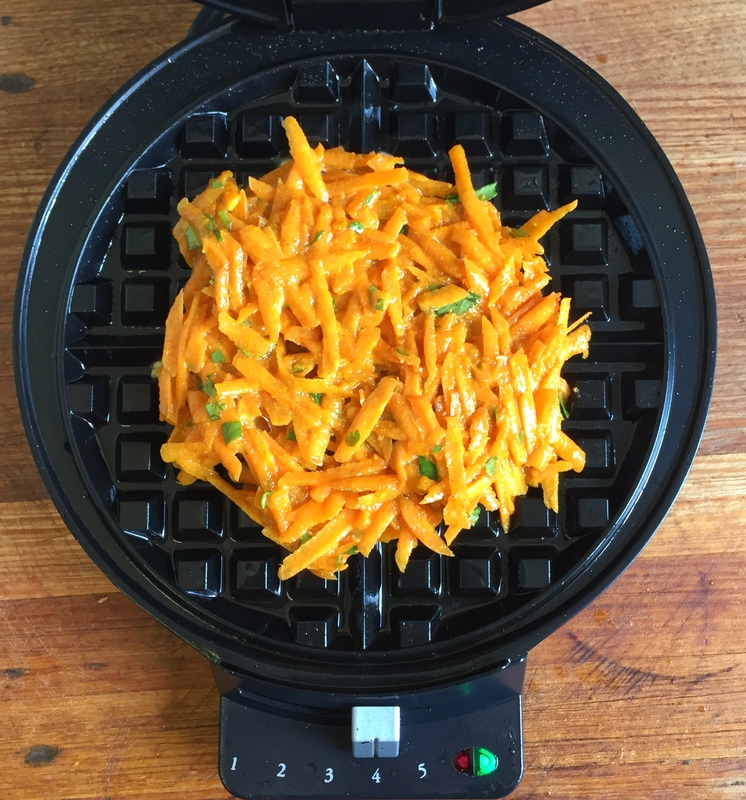 Switch on the waffle iron and let it pre-heat on a relatively high heat. My iron was on setting 4 of 5. Repeat with the rest of the batter re-greasing the iron if needed in between and keep each waffle in a warm oven or covered in foil as they cook. Remove from heat and add in all the remaining ingredients. I try to do this as I’m cooking the last two waffles so the sauce stays nice and warm. 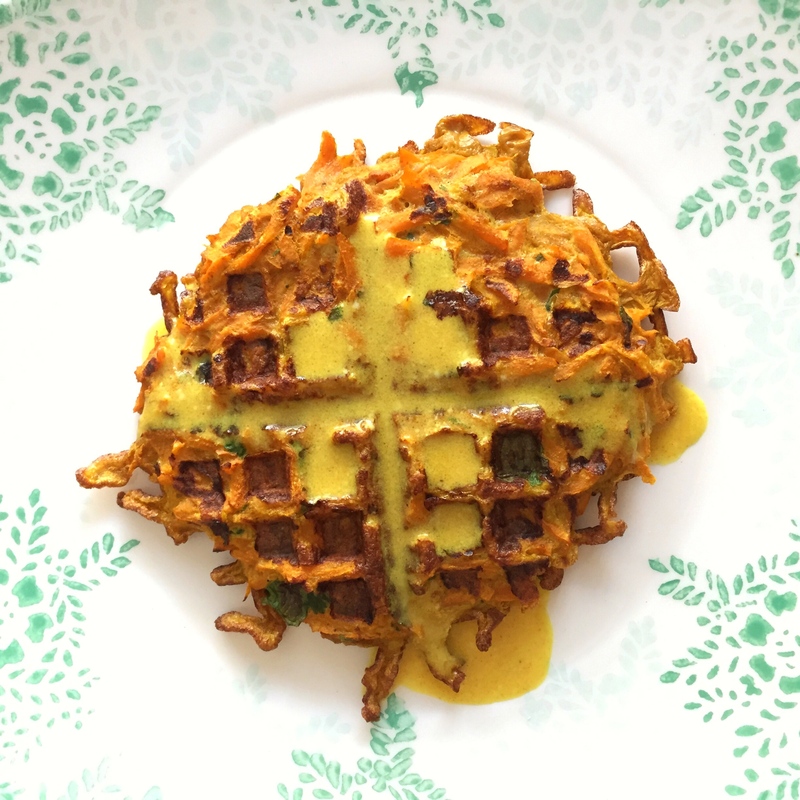 Once everything is ready, serve the waffles and drizzle or drown them in the golden milk sauce. They’re also lovely just with a drizzle of maple syrup and some pan-fried nitrite free bacon! 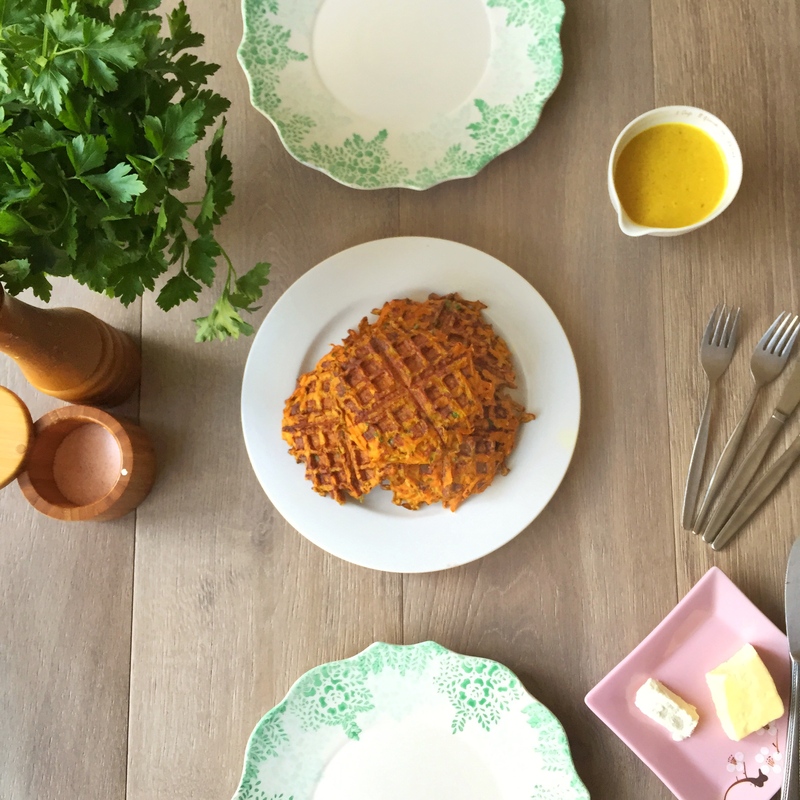 * This recipe is delicious made with sweet potato too. Just replace the three carrots with one large sweet potato and continue with the rest of the recipe. Secondly; I need to get me a waffle maker!